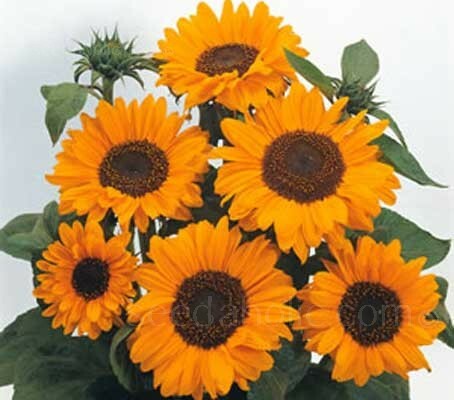 Sunflower 'Soraya' is an award-winning new arrival. 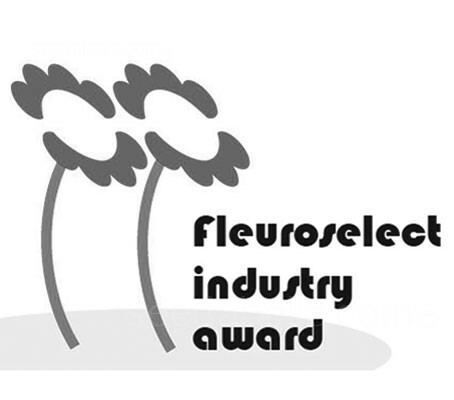 It is the first Sunflower ever to win an AAS award and it also scooped up a Fleuroselect Quality Mark! 'Soraya' produces lovely rich tangerine-orange flowers with dark brown centres. This branching sunflower is prized for cut flower arrangements, producing 20 to 25 flowers from each plant during the long bloom season. Soraya is the 'big sister' to Sonja both having similar flower colours, but Soraya has larger flowers and even thicker, sturdier stems. The vigorous, self-supporting plants stand 150 to 180cm (5 to 6ft) tall and will not blow over, even in full bloom. The flowers are the perfect height for watching the bees do their work in summer. The 10 to 15cm (4 to 6in) flowers arise on sturdy stems, held well above the lush foliage. They will bloom in 80 to 90 days from sowing seed. Sunflowers are the kings of the natural sunny summer garden, attracting butterflies and birds. They're wonderfully easy to grow, just direct sow the large seeds after all danger of frost. Not picky about soil type but they do need direct sun. Thin the plants 60 to 120cm (2 to 4ft) apart so that they can show off their foliage a bit as they grow. For early flowers, start indoors as early as February or March, or sow directly outdoors in in mid-April through to mid-May. 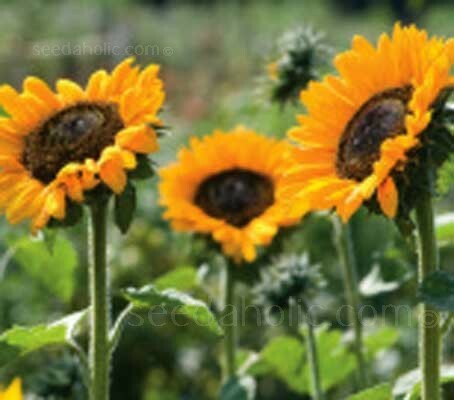 For continuity, sow a succession of sunflowers every fortnight for six weeks in the early part of the growing season. In a hot summer, each cycle from sowing to blooming will take about 60 days. Start indoors as early as February or March, to germinate in about 10 days at 60 to 65°F and plant out in April or May. Use 7.5cm (3in) pots and a good sowing compost. Sow one seed 2.5mm (1in) deep per pot. Water and cover with either polythene or bubble plastic to retain the heat, or place pots on a heated bench or in a propagator with the temperature set at 13°C (55°F). Remove the covers when the leaves appear. Plant seedlings outside when they are large enough to be handled and the root system is well developed. Add garden compost to the soil if it is heavy or infertile. Plant outside as early as possible to miss heavy frosts, to germinate in about 1 to 3 weeks, in mid-April through mid-May, after the danger of spring frost is past. Ideally, when the soil temperature has reached 13 to 16°C (55 to 60°F). Sow the seed 5cm (2in) deep and space 45cm (18in) apart in borders. Give the plants plenty of room, especially for low-growing varieties that will branch out. Make rows about 30 inches apart. For very smaller varieties, plant closer together, around 30cm (12in) apart. You can plant multiple seeds and thin them to the strongest contenders when the plants are 15cm (6in) tall. Experiment with plantings staggered over 5 to 6 weeks to keep enjoying continuous blooms. Water seedlings regularly and, when growing tall forms, feed sparingly with a liquid fertiliser when 60cm (2ft) high. Beware of slugs when they are still young plants and birds stealing the seeds. Once the plant is established, water deeply though infrequently to encourage deep rooting and feed sparingly with a liquid fertiliser. Avoid splashing water or fertiliser solution on the stems or leaves. It may help to build a moat in a circle around the plant about 30 to 45cm (12 to 18in) out. Over-fertilisation can cause stem breakage in the autumn especially if the heads are large. Tall species and cultivars require support. Bamboo stakes are a good choice for any plant that has a strong, single stem and needs support for a short period of time. Remember to cap the top of the cane with any small rounded object or upturned small pot to avoid any eye injuries. Handle sunflowers gently, although they may appear robust, the petals and more delicate parts may bruise. For the vase, cut the fresh flowers in the morning just after they open, but wait until the sun has dried the dew. Remove leaves that are low on the stem, leaving just two or three higher up, near the flower's face. Place the flowers in a bucket filled with water, and leave them to stand for several hours in a cool room before placing in a vase. Use a clean knife, a clean vase and a few drops of bleach in the water to keep it fresh. Change the water every few days. Blooms can last up to a fortnight when kept in water. To dry sunflower seeds, cut the heads off when they begin to yellow at the back and hang them upside down in a dry location away from rodents and birds. Once dry, rub the seeds off and soak overnight in 4 litres (1 gallon) of water with 1 cup of salt in it. Dry in a low heat, 120°C (250°F) oven for 4 to 5 hours and store in an airtight container. The black-seeded varieties are mainly for oil and birdseed. The grey and white-striped varieties are for drying and eating. A native of North America, Helianthus annuus is a member of the Asteraceae family. Sunflowers become very popular as a cultivated plant in the 18th century. The plant was initially used as on ornamental but by 1769 literature mentions sunflower cultivated by oil production. Today the sunflower is grown for crops in the Mediterranean, Eastern Europe, Argentina, India and the USA. Artists throughout history have appreciated the sunflower's unique splendor, and those of the Impressionist era were especially fixated on the flower. The Latin name for Sunflower, Helianthus annuus, is taken from the Greek helios, meaning sun, and anthos, meaning flower. The Sunflower originated from South America and represented the sun to worshiping Aztec people; it was brought to Europe in the late sixteenth century. The species name annuus was named by Linnaeus, it was the only sunflower known to him that lived for a single season, hence it was called annus which means 'annual', 'yearly' or 'lasting a year'. The variety name Soraya is an Arabic import with a celestial meaning. A feminine given name of Persian origin, it has connotations meaning 'rich' and 'princess'. This exotic name was made famous in the Western world by the one-time empress of Iran, who settled in Europe, primarily in France. Soraya comes from word Thurayya deriving from a word meaning gem or jewel. Thurayya is the Arabic name for the Pleiades, a star cluster in the constellation of Taurus. The Pleiades are a cluster of bright stars in the constellation Taurus. 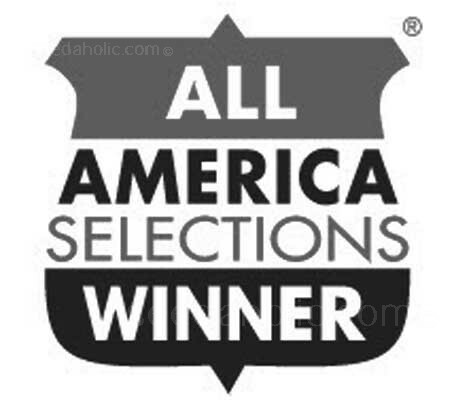 The number of stars counted and named varies over time, and different cultures read all sorts of meanings into the stars. In Greek myth, they’re the Seven Sisters, daughters of Atlas and a sea-nymph. In Japan, they’re Subaru, the source of the auto manufacturer’s name!